You've come to the right place to learn everything there is to know about the Euro! We're dedicated to providing you with as much information as possible about this currency. You have no doubt heard the buzz on the streets about this exciting world currency, and we welcome you here to get the facts straight in an easily digestible, straightforward manner. At this website, you'll find information on the history of the Euro, the present condition of the currency, the projected future of the Euro. 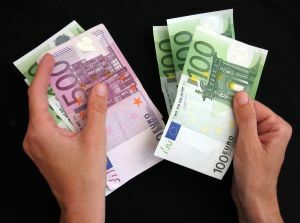 You'll find comparisons between the value of the Euro and the US dollar as well as the information about the currecnies past, present condition and future outlook as well as additional resources for learning more. Additionally, you'll find information on investing in this currency. Investing is an important trade, and one that can be learned as a profession or as a hobby. Through our research and reporting, we hope to give you the background you need to get started. If you're already a seasoned investor, we'll give you the information needed for you to learn more about the Euro and apply your own investing knowledge and practice. We'd love to hear from you. We welcome submissions from our readers, and will publish said verifiable information here for the benefit of all of our users.